Sometimes you meet couples that seem to be the perfect fit to work with and after you wrap your meeting you start counting down the minutes until you can follow up in hopes the couple books with you. I met Sierra a full year ago to discuss her wedding photography and was in love with everything I heard. Jordan trusted Sierra fully to find a photographer they would both love and I felt like Sierra & I hit it off as soon as we sat down to chat. So when I got the email just a couple days later that I would be their photographer I was over the moon. 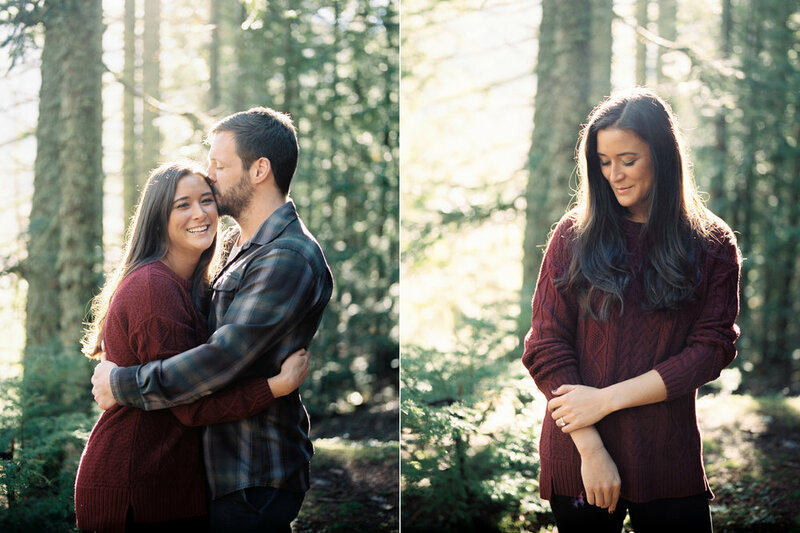 We ventured to Snoqualmie Pass last fall for an engagement session that would allow us to be in the forest and near the water all at the same time. We climbed on a chair lift for some cute portraits - which is perfect since Sierra & Jordan both love the outdoors - and enjoyed some beautiful fall weather near the water. We watched the evening light get low as the sun fell behind the ridge at the pass and enjoyed the fact that we were alone in a peaceful and beautiful setting. This was my kind of engagement session. We have made it to their wedding day and I can't believe the day is finally here! I've been looking forward to this one for months, especially since it's been a while since our engagement session together last fall. Sierra & Jordan, I am so thrilled to spend the day with you, to be your photographer, and to capture memories for you today. I have no doubt it's going to be amazing! Congratulations, Sierra & Jordan. I can't wait to celebrate with you as you become husband and wife.